Re-Establishing Roots, Inc. is in the process of filing non-profit status in Pennsylvania. Re-Establishing Roots for a Healthful Community through Gardening. The Barefoot Garden is the first Community Garden inspired by Re-Establishing Roots. It is comprised of a Community of Friends. The Barefoot Garden is the first Community Garden inspired by Re-Establishing Roots. It is comprised of a Community of Friends. Picking the location, plotting and planning. Planting the Cabbage Patch using the Campion Plant guide. Who knew planting onions can keep Cabbage Whites away? Planting Potatoes in Towers allows you a bigger yield using less space. Ran out of room? Have no room? 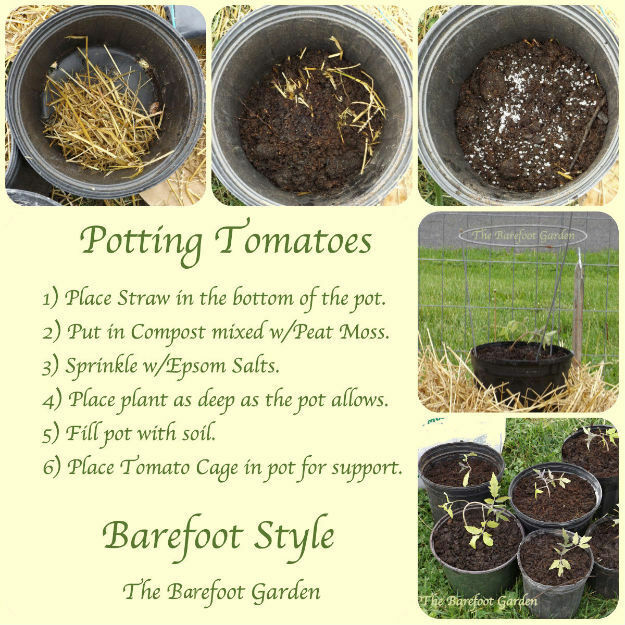 Potted Tomatoes…Barefoot Style. How to turn an old door into a Garden Gate. THANK YOU DIANNE. SOMETIMES I SCARE MYSELF…I AM LOVING THIS. EVERYTHING IS ACTUALLY GROWING. STAY TUNED.